Many chemical manufacturing plants use ambient air as their source of Nitrogen or Oxygen. As these high value facilities have been optimized and improved, the warm weather mass flow from the suction air compressor suffers, resulting in less production and a significant impact of the bottom line. 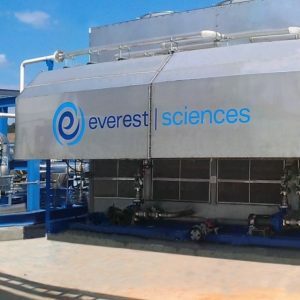 At Everest Sciences, our Everest Cycle eliminates inlet air bottlenecks to enable more high value production. Our efficient cooling process provides a constant inlet temperature as low as 40 degrees Fahrenheit. 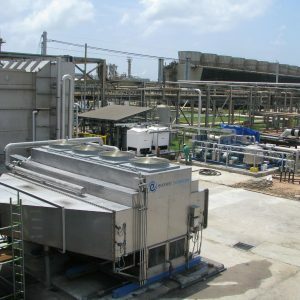 This reduced temperature increases the mass flow and production by more than 15% on hot days. In many locations, this equates to nearly 8% more annual production. 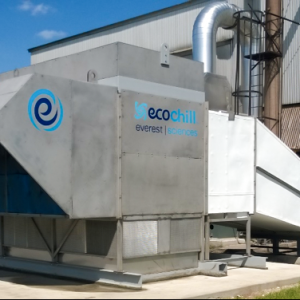 Everest Sciences, an S&T Company; Everest Cycle; EcoChill and EcoCool are registered trademarks. ©Everest Sciences, an S&T Company · Proudly designed, developed, and maintained by Byers Creative.